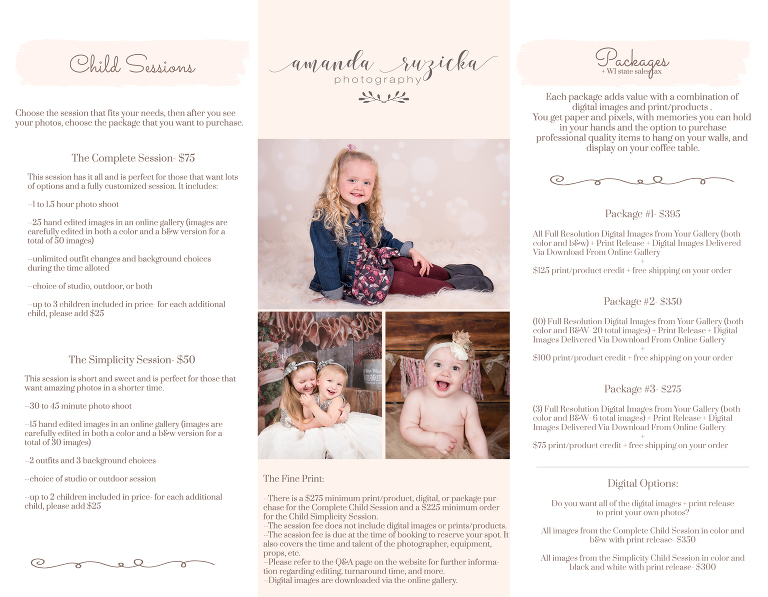 Child portrait sessions can be scheduled at any time. Many are scheduled during milestones such as birthdays or every few months during the first year. 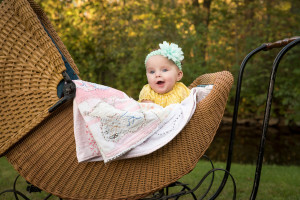 Getting your child’s picture taken should be fun for your child (and you). I will learn what your child’s interests and favorites are before the session so I can engage the child while taking their portraits. Before coming to the session try not to make too big of a deal out of your child getting pictures taken and don’t feel the need to have your child “practice” smiling. Sometimes this can have the opposite effect that we want such as the fakey-too big smile or the child is tired of having to smile and doesn’t want to do it during picture taking. Try to avoid eating or drinking red or orange food or drinks before the session. They tend to leave a stain on the face (Kool-Aid mustache). It’s a great idea to bring snacks as children are much happier with full bellies and sometimes just need a little snack break during the shoot. Clear drinks and light colored snacks are recommended. Child portrait sessions are for children 3 months of age and older.